The Future of Farming combines in a unique way a visual computer-based and data-driven game with the qualities of a role-play. It is now nominated as a finalist to the EU CAP Communication Award. 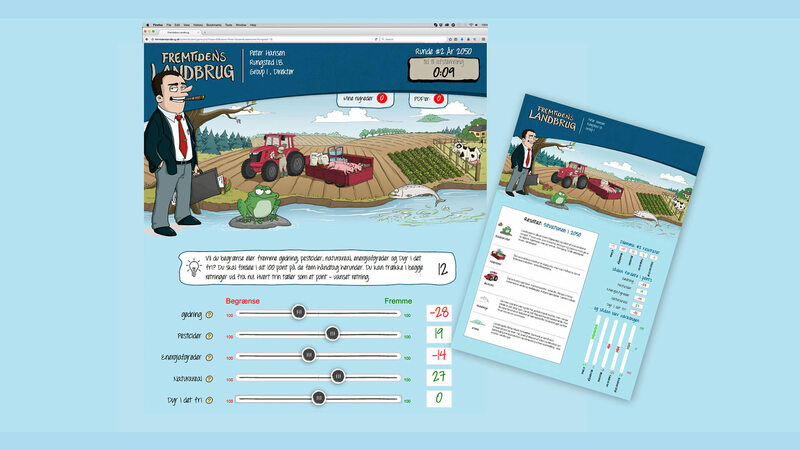 The game Future of Farming is developed by The Danish Ecological Council in cooperation with the scientists of Copenhagen and Aarhus University, the game developer Sune Palsgaard, Postwork, and educational consultant Henrik Tuxen, Rungsted Gymnasium, Denmark. The target group is students in high schools and agricultural schools. Through playing Future of Farming they get the opportunity to learn about agriculture and the environment and discuss agricultural policy. Students and teachers have so far been excited about the game. The students use their laptops or tablets and play in groups of four, and soon they find themselves caught in deep conversations about the future of farming, the environment, rural life and agricultural policy – topics which they would probably not otherwise offer much of an interest. Teachers at agricultural schools have welcomed it as an ngaging supplement to classes on sustainable farming and social science, which many students find quite dull. Also, in high schools, teachers consider the game to be a useful tool toengage students in agriculture-related topics both in natural and social science. The game can also be played by others – such as farmers, university students and NGOs. The game is played in groups of four. There is a farmer, an environmentalist, a local politician and a managing director from the agribusiness in each group. Each student assumes a role and is expected to take on the responsibility for acting out this role and identify with it during the play. Before the first game session they all get a brief tutorial describing the characters’ background, opinions and interests in regard to agricultural policy, environment, rural development, politics and economy. When the play starts, each group is informed that they have now been appointed an advisory commission to the Danish government and the EU. They have to agree on recommendations for future legislation on five key issues (“instruments”). The groups now have to negotiate and agree on the recommendations by distributing 100 points – plus or minus – between the five instruments. They get half an hour to reach an agreement. When the points have been distributed, a report is generated showing the impacts of their decisions on five parameters. A landscape shown on their screens with five icons – each of them illustrating a parameter – will change accordingly. The aim of the game is to teach the students about the role of agriculture in society, the impacts of farming practices on nature, environment, food production and economy, and make them discuss Danish and European agricultural policy. As there are two rounds of the play – the first ends in 2030, the second in 2050 – there is an opportunity for the students to reflect on and discus the consequences of their decisions after each round. Urban high school students in Denmark, and probably also in many other European countries, tend to have only limited knowledge about farming and agricultural policy. Likewise, young farmers tend to have only little knowledge about both urban life and environmental issues. As a consequence, the debate on the agricultural development and the environmental impact of agriculture tend to be polarised and not at all constructive. So the game and role-play can be seen as a tool to bridge the gap between rural and urban youth and pave the way for better mutual understanding. When playing the game the students will automatically learn about democratic processes by experience, come to understand how politics shape our future and environment and also how different groups of interest influence the political decision-making. As they have to identify with characters with whom they do not necessarily agree, the students will furthermore be more likely to understand and respect opponents in the real world who hold opinions different from their own. Thereby, the game can contribute to democratic education. 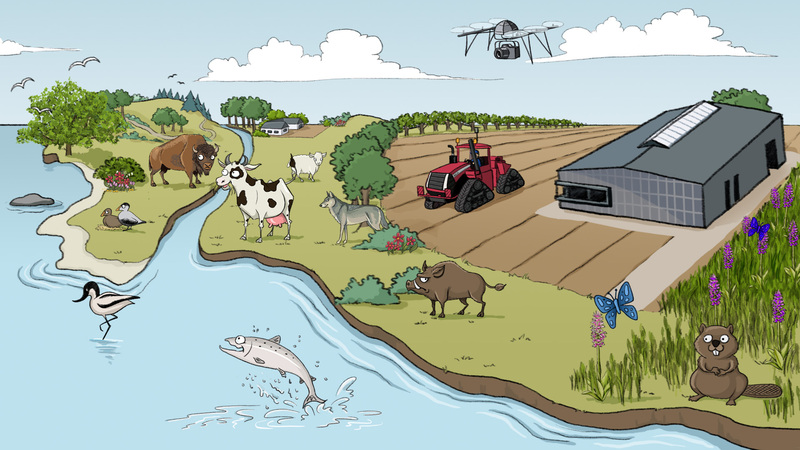 Future of Farming is part of a larger project, „The Future of Agriculture: Scenarios for Sustainable Farming in Denmark“. The Danish Ecological Council, University of Copenhagen and Aarhus University are partners in the project funded by the Velux Foundation. The overall purpose of the project is to help create new visions and goals for farming in the future – primarily in Denmark, but also at a European level. The aim is to contribute with analyses, scenarios, and policy proposals that can be used by citizens, scientists, students, NGOs, farmer organisations and policy makers. A main output will be a model that can illustrate different scenarios for Danish agriculture towards 2030 and 2050 concerning economic, environmental and social sustainability. When playing the computer game the students develop their own scenarios as a result of negotiations. Thereby they build up the prerequisites to understand and discuss the more comprehensive and scientifically based scenarios. The agricultural sector in Denmark is currently facing tremendous challenges economically and environmentally. The financial crisis has seriously affected the farming sector, and the total farm debt has increased. Besides economic difficulties, increasing demands on farmers to take better care of nature and the environment and play an active role in society are putting agriculture under pressure. Danish farmers are furthermore heavily dependent on the EU receiving a total of more than one billion Euro in farm subsidies per year. Economic and environmental concerns combined with a changing landscape of the global food market and European agricultural policies demonstrate the great challenges that Danish and European agriculture is facing today. Therefore, it is beyond any doubt that we need to involve the young generation in the discussions about how to create a both productive and sustainable agricultural sector, which can fulfil the many different needs. While being part of the global market and a member state in the EU, Danish agriculture is much dependent on the EU’s Common Agricultural Policy (CAP), and in “Future of Farming” the role players therefore need to address and discuss policy issues connected with the CAP. Through playing the game, the students will learn not only about Danish agriculture per se, but also get an insight into global issues such as food security and knowledge about European regulation of the agricultural sector. 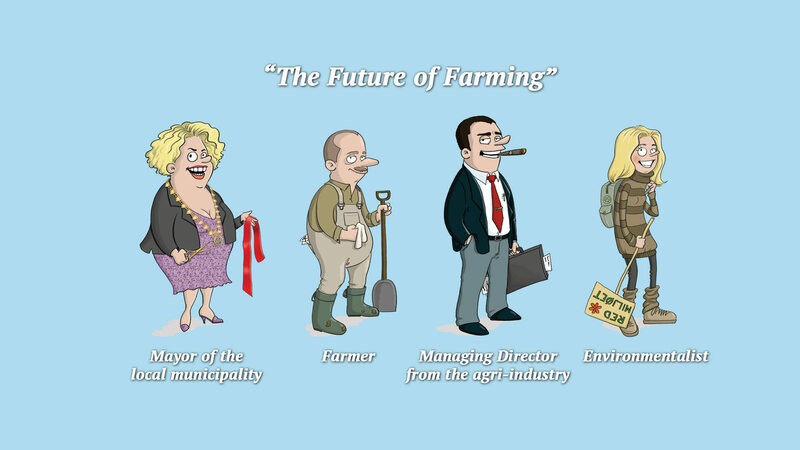 Vote for The Future of Farming in the “2014 Special Prize of the Public” in the EU CAP Communication Awards.